"With Malice Toward None, With Charity For All"
I am pleased to welcome you to The Civil War Scholar. 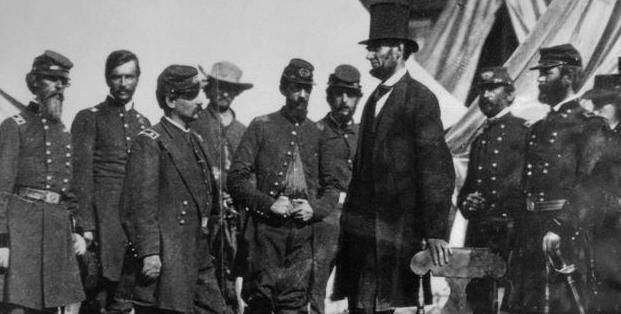 I have been a Civil War enthusiast since childhood, and one of the things that keeps me fascinated is that there are so many facts and personalities involved that nobody can claim to be omniscient. I can always keep learning and we can all learn from each other. The Civil War Scholar will publish articles and reviews written by myself and I hope by other friends in the Civil War community, it will announce some upcoming Civil War events and news, and it will provide links to Civil War websites that I have found interesting and informative. I hope to incorporate a "comments" section for enlightened and civil discourse about anything posted. For the time being, please feel free to send any feedback to the "postmaster" email address in the "Contact us" link. Two events in New York City marked the 195th anniversary of General Grant's birth. On April 24, the Grant Monument Association held a dinner featuring a conversation between Gen. David Petraeus (USA Ret.) and Professor Emeritus Williamson Murray of Ohio State University. 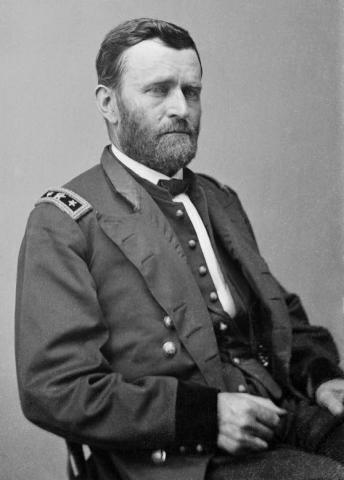 Highlighting Prof. Murray's remarks was his description of Grant's unique excellence in tactics, operations, and grand strategy. The Grant Monument Association is led by Frank Scaturro (who as a college student started and led the campaign that forced Congress clean up and restore Grant's Tomb) and Edward Hochman. On April 27, wreaths were laid at Grant's Tomb on behalf of President Trump by the Commandant of Cadets at the US Military Academy (Brig. Gen. Diane Holland), on behalf of the Grant family by Ulysses Grant Dietz, and on behalf of the National Parks Service. Author Edwina Campbell delivered a keynote address on the subject of President Grant's tour around the world. An honor guard from the US Military Academy presented the Colors and gave a rifle salute, and we were entertained with lively music by Kenneth J. Serfass and the Antebellum Marine Band. Paul Windels, past President of the Civil War Forum of Metropolitan New York, will speak to the Nassau County Civil War Round Table on Wednesday, June 21, at 7:30 p.m. at the American Legion Post, 27 Royle Street, Bellmore, NY. The topic of his talk will be "John F. Reynolds's Last Day, the Misunderstanding That Could Have Lost the Civil War." According to this thesis, historians of the first day of Gettysburg have overlooked the key factor that led to the result of that day's fighting: a communications failure between Gens. Reynolds and Meade. As a result, Reynolds went into battle believing that he had four Corps available (his own command plus Slocum's XII Corps). In fact, he had only two, because Meade wanted to keep the others ready to execute the Pipe Creek plan, which Reynolds did not know about. 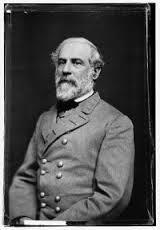 Deepening the mystery is Reynolds's attempt to circumvent orders at Chancellorsville and bring his corps into action. Was he doing something similar on July 1? This presentation was previously given to the Civil War Forum in September 2013 and to the Philip Kearney Civil War Round Table in May 2015. For more information, please contactthe Nassau County Round Table at nccwrt@gmail.com or Michael Fitspatrick at Mfitz54@aol.com. Timothy Egan, author of Immortal Irishman (a biography of Thomas Francis Meagher) and Ronald C. White, author of American Ulysses (a biography of U.S. Grant) have each won 2017 William H. Seward Awards for Excellence in Civil War Biography. The Seward Award is presented by the Civil War Forum of Metropolitan New York and is endowed through the generosity of James Davis. It comprises a $2,000 stipend and an invitation to speak to the Civil War Forum. The 2016 winner of the Seward Award, Custer's Trials by T.J. Stiles was subsequently awarded a Pulitzer Prize.